SINGAPORE - Prime Minister Lee Hsien Loong was awarded honorary citizenship by Seoul's city mayor Park Won-soon this morning. Mr Lee is in South Korea for a three-day visit from Dec 10-12 and will be attending the ASEAN-ROK Commemorative Summit in Busan tomorrow. He made a stop in Seoul where he met Mr Park for the first time en route to Busan. Speaking at the presentation ceremony, Mr Lee said Seoul and Singapore share many similarities. He remarked that both are densely populated urban cities, and face challenges on housing, transport and an ageing population. Mr Lee also said he is happy that representatives from both governments frequently visit each other to exchange notes. 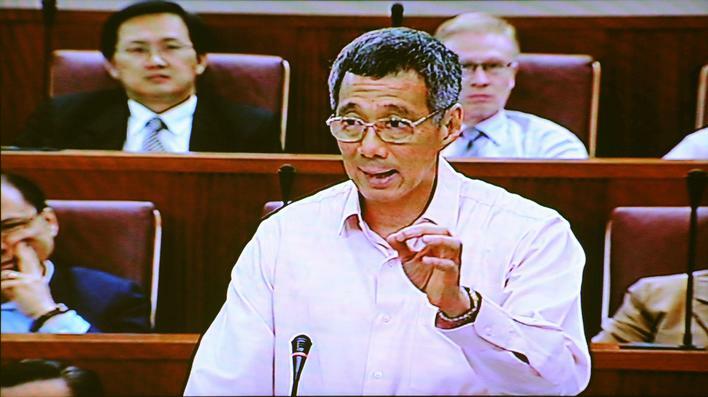 People-to-people ties between the two nations are growing rapidly, Mr Lee said. For example, K-pop and Korean drama series remain popular in Singapore. In fact, he added that his wife is "a big fan", reported The Straits Times. 2. One was curious about PM Lee's shopping habits. 3. The good people at Sgag were concerned about our history. Majulah Tempura? Who else is glad that Sang Nila Utama did not see a prawn? 4. This Singaporean was concerned about inflation of the things that really matter. 5. Blogger Mr Brown raised the question that's been on everyone's mind. 7. But that's not as bad as a Taylor Swift fan thinking that PM Lee is actually Santa Claus. 9. Others want to enjoy a closer relationship with the prime minister. 10. 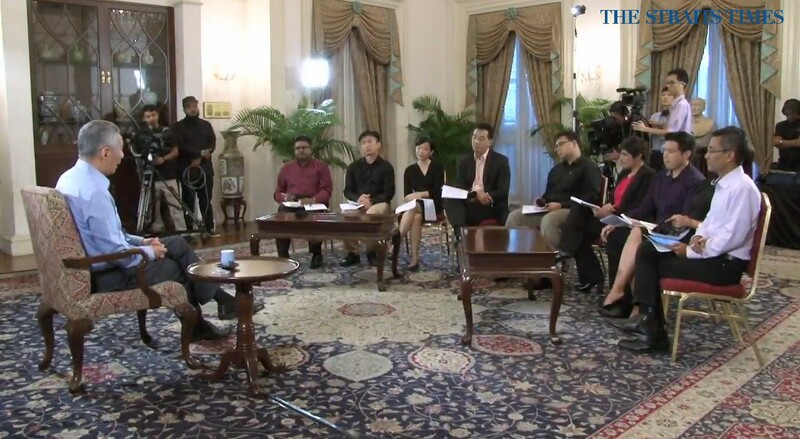 Some Singaporeans chose to ask PM Lee the really tough questions. How to decide between McDonalds and KFC? 11. What's more important than local affairs? The English Premier League of course. Next year, Singapore and Korea will mark 40 years of diplomatic relations, and President Tony Tan Keng Yam will be making a state visit to Korea then. Mr Lee said he is confident both sides will continue to strengthen their friendship and cooperation. Local media agencies reported that Mr Lee and Mr Park affirmed positive bilateral ties between Singapore and Korea during their meeting. The mayor introduced Mr Lee to the latest developments in Seoul and invited the mayor to visit Singapore. The PM last visited Seoul a year ago. He said Seoul continues to grow and develop. Yesterday evening, he took a stroll along the Cheonggyecheon, a recreation space in downtown Seoul, and said he was impressed by the project. Following his meeting with the mayor, Mr Lee will be briefed on Seoul's transport system. 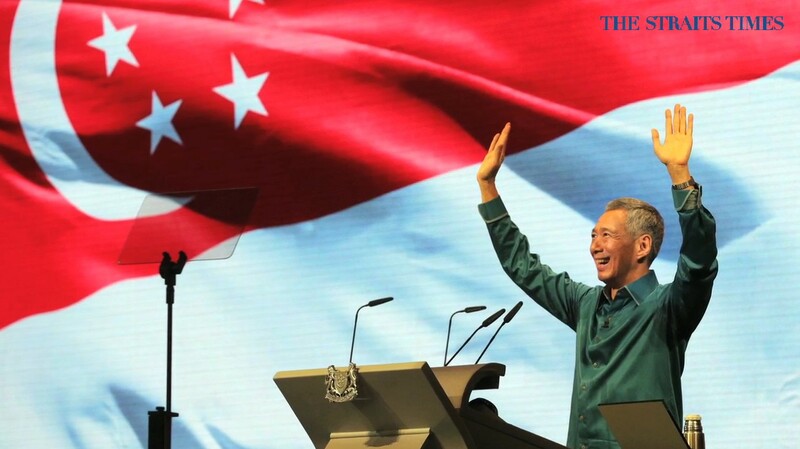 Mr Lee received honorary citizenship from London earlier this year, reported Channel NewsAsia. 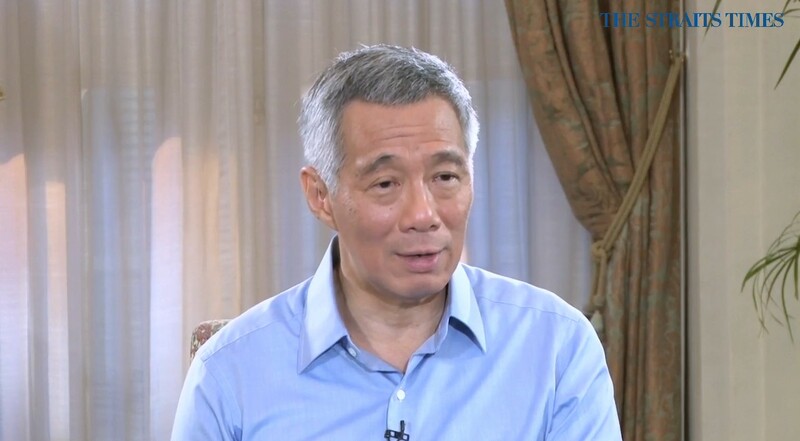 If Prime Minister Lee Hsien Loong could turn back the clock, he would have ramped up Singapore's infrastructure development by several notches. 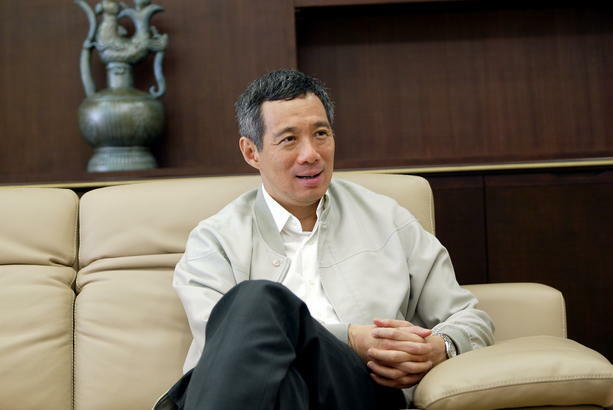 "In retrospect, it is easy to say that we should have built up our infrastructure a lot faster, that we should have got more trains running, we should have built more HDB flats," he said. He recalled how the government at that time was sure it was doing the right thing by pacing things out and building only when there was a need for greater infrastructure. On the flip side, what has given him the greatest satisfaction in his time as prime minister so far has been the ability to place a heavy emphasis on education. 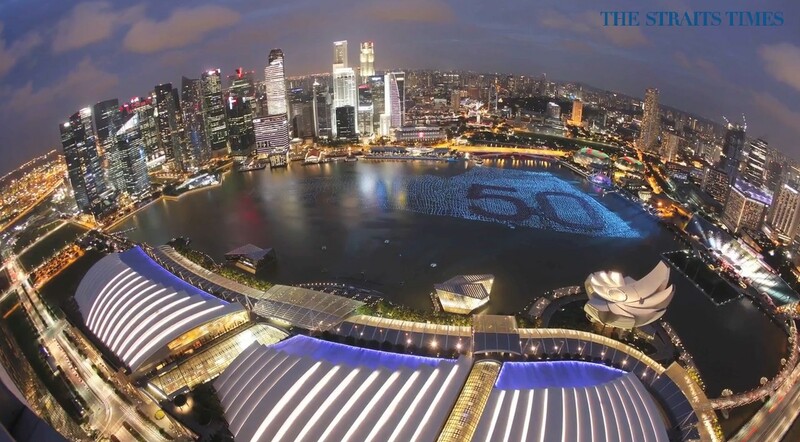 PM Lee also said that Singapore must use this (SG50) as a jump-off point, not as a final destination. He also said it is important to understand why it is necessary to have foreigners here and how we are adapting our policies to minimise the impacts and the side effects. 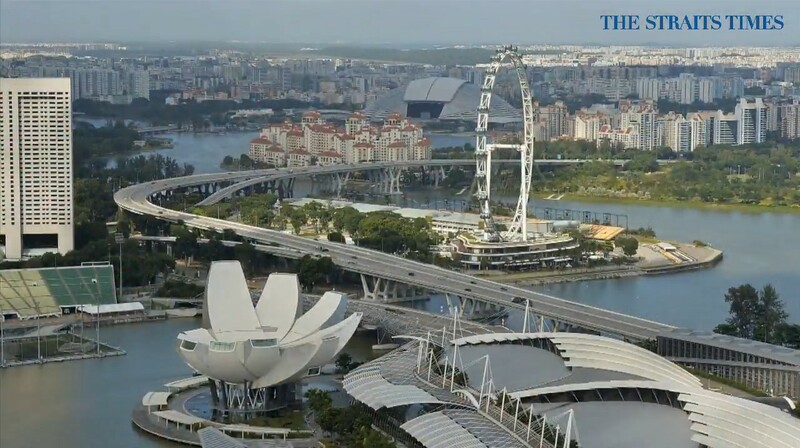 "But with the foreigners too - what are the rules when you come here, when you live here, you are living in Singapore, you have to comply with Singapore." "There will be some people who will behave badly on both sides. 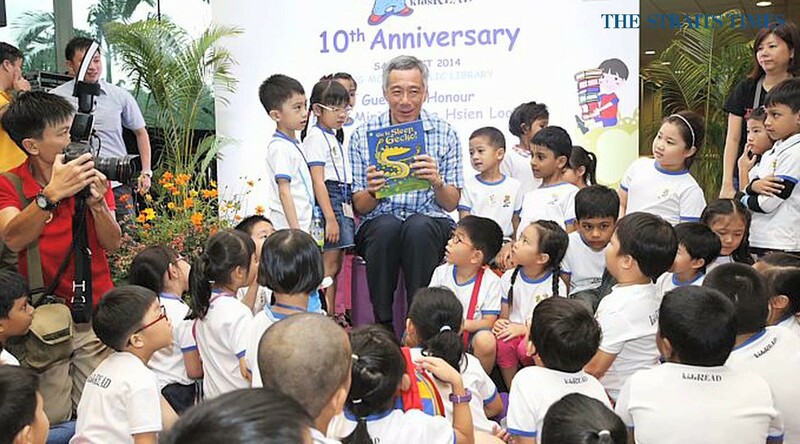 But we should not let these bad behaviours affect the overall relationship," PM Lee said. 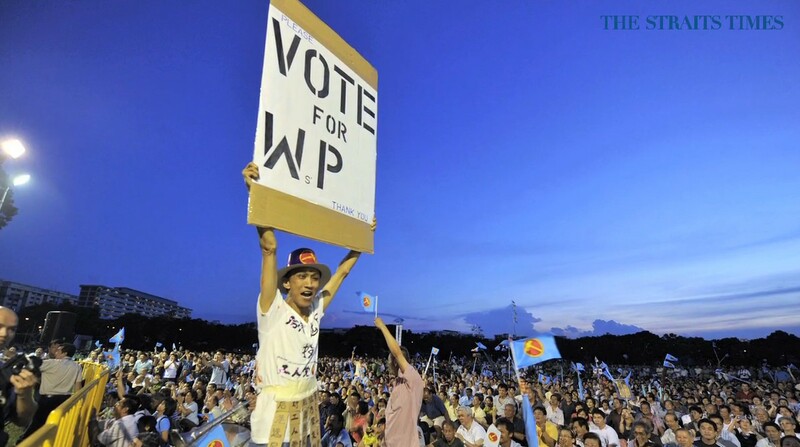 He also said that the People's Action Party (PAP) is likely to field about 24 fresh faces in the next General Election (GE). He also said that every election is a serious contest. 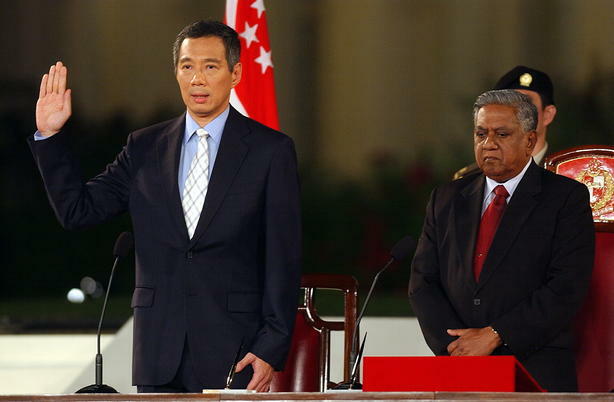 Prime Minister Lee Hsien Loong was sworn in as Singapore's third Prime Minister on Aug 12 2004. He was then 52 and had served 20 years in politics. 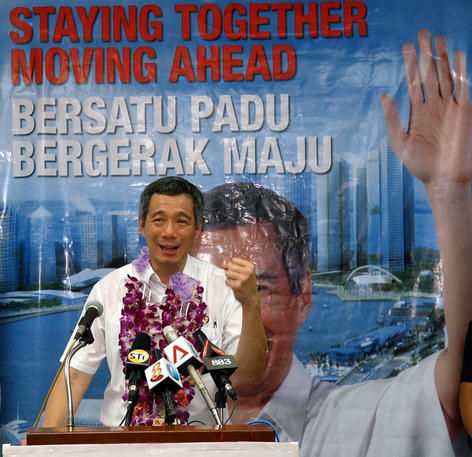 In 2005, PM Lee announced in Parliament that Singapore would allow two large-scale integrated resorts, each with a casino component. 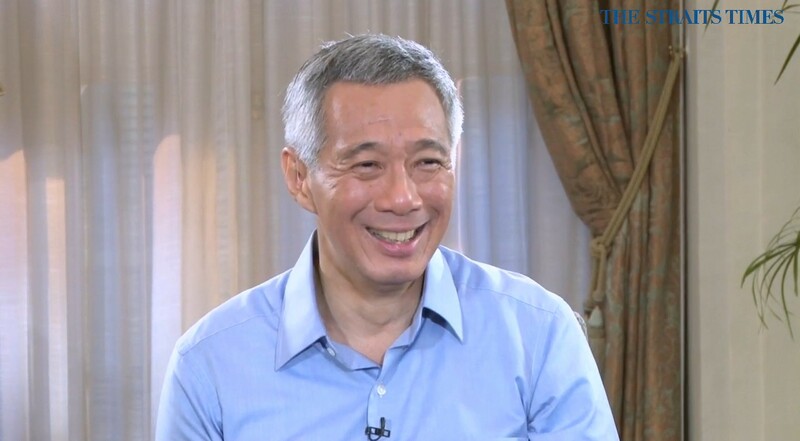 In a 2005 interview, PM Lee speaks about his first year as prime minister, the casinos and the National Kidney Foundation. PM Lee Hsien Loong launches the Comcare Fund at NTUC Auditorium, NTUC Centre. 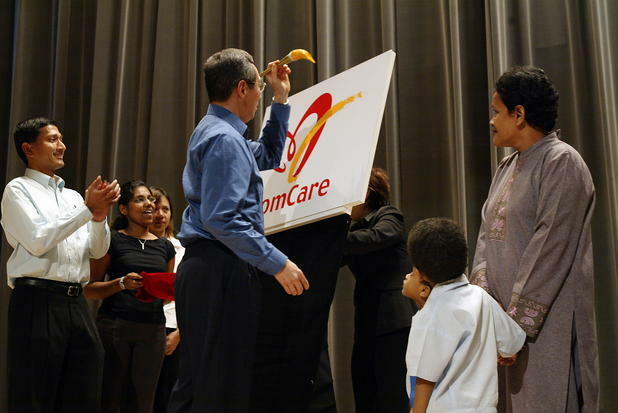 The ComCare Fund aims to help the needy break out of the poverty trap. PM Lee speaking at a PAP rally during the 2006 General Election. 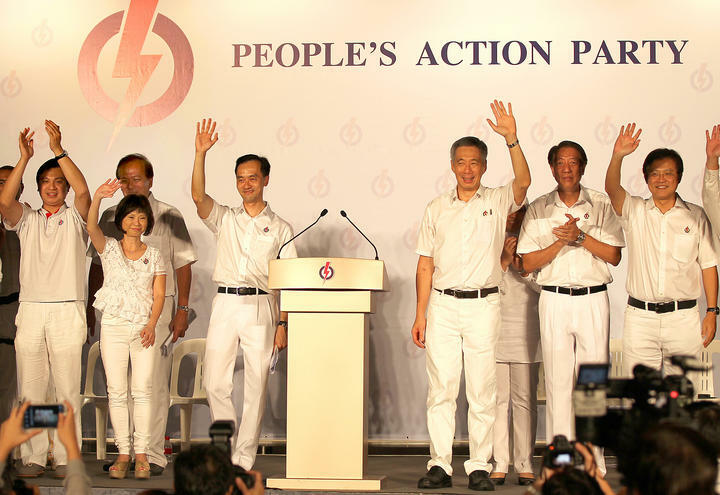 PM Lee announcing PAP's candidates for the 2006 General Election. PM Lee being carried by supporters after winning the Ang Mo Kio GRC in the 2006 General Election. PM Lee hoisted on the shoulders of supporters after the PAP won Ang Mo Kio GRC in the 2006 General Election. 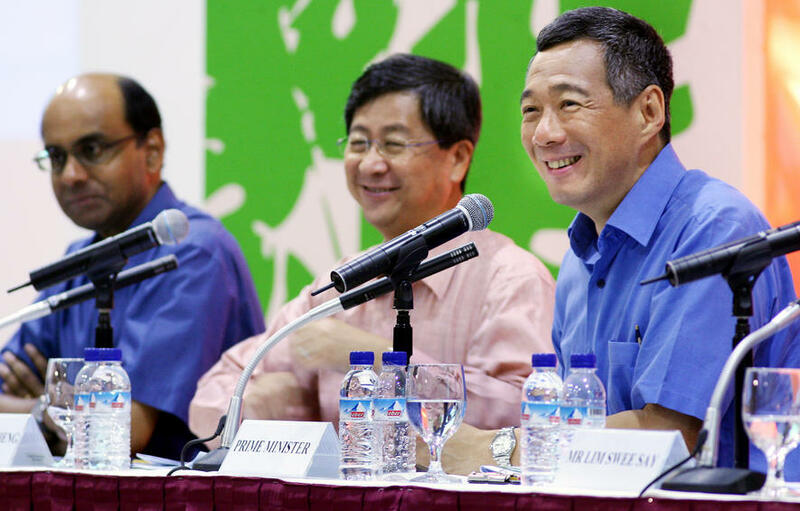 PM Lee (R), along with Tharman Shanmugaratnam (L) and Lim Boon Heng (C) at the ministerial dialogue on Central Provident Fund (CPF) changes in 2007. In 2008, PM Lee addressed Parliament on the government's responsibility over the escape of former Jemaah Islamiyah leader Mas Selamat Kastari. 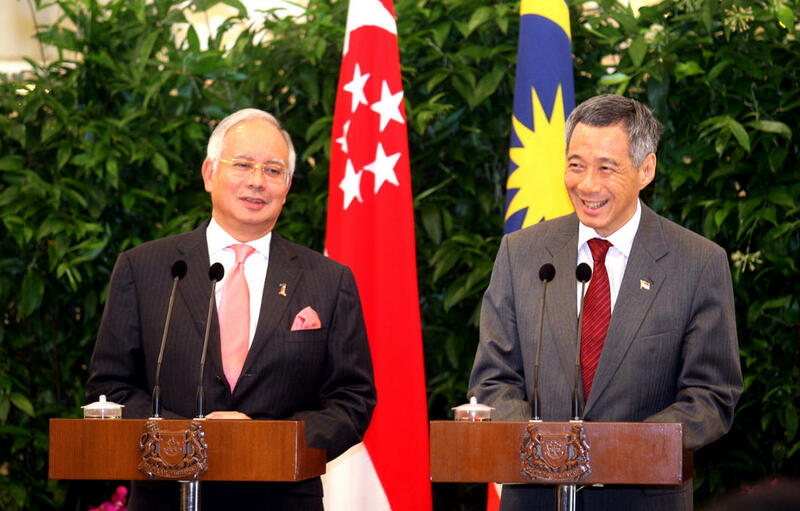 PM Lee (R), with Malaysian Prime Minister Najib Razak at a joint press conference in 2010. 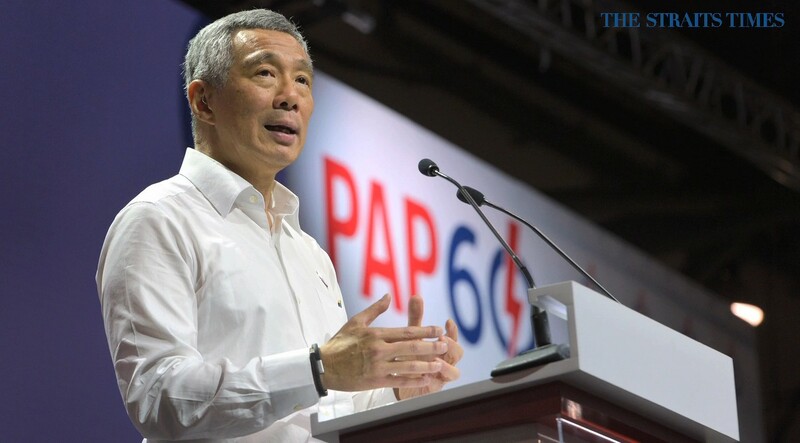 The two leaders had agreed to resolve a longstanding dispute over Malaysia-owned railway land in Singapore. 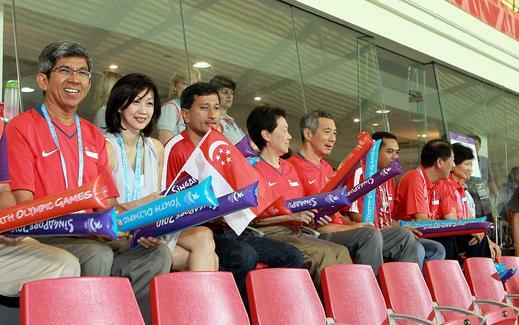 PM Lee, together with other ministers, cheering on Singapore's youth football team in their preliminary Youth Olympic Games (YOG) match against Montenegro, which Singapore won 3-2. 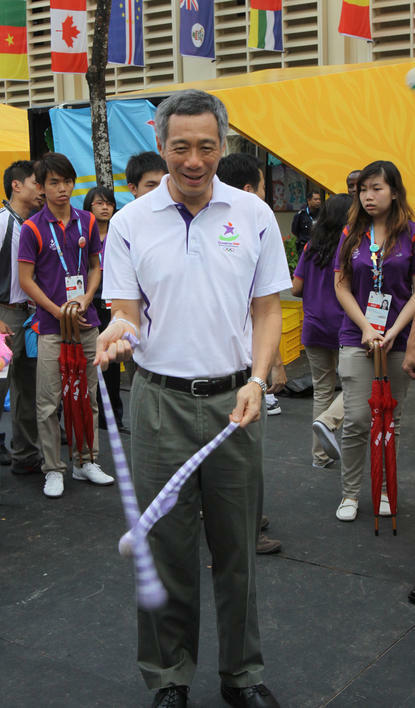 PM Lee tries his hand at poi during a visit to the Youth Olympic Village, during the YOG in Singapore from Aug 14 to Aug 26. 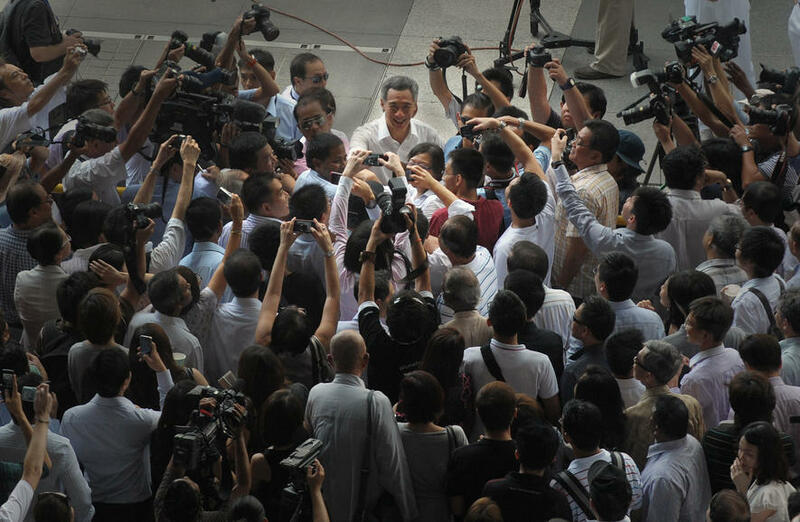 PM Lee shaking hands with the crowd after the PAP’s lunchtime rally at Boat Quay on May 3 2011, before the 2011 General Election. He addressed four mistakes of his government – the escape of detained terrorist Mas Selamat Kastari, the Orchard Road flooding, high home prices and overcrowding on MRT trains. 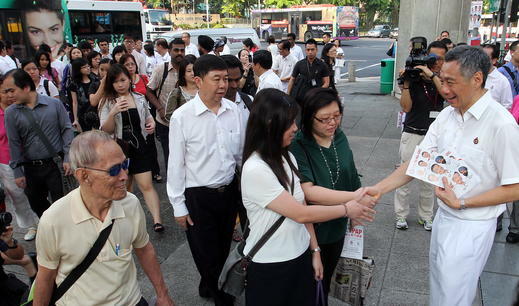 PM Lee in a walkabout at Ang Mo Kio GRC before the 2011 General Election. 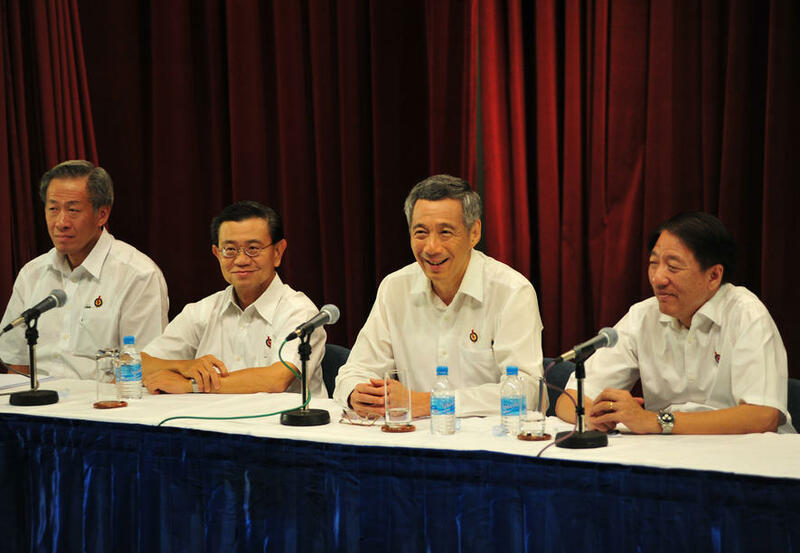 PM Lee Hsien Loong (third from left) held a press conference in the early hours of May 8 2011 after all the election results were announced on May 7 2011. 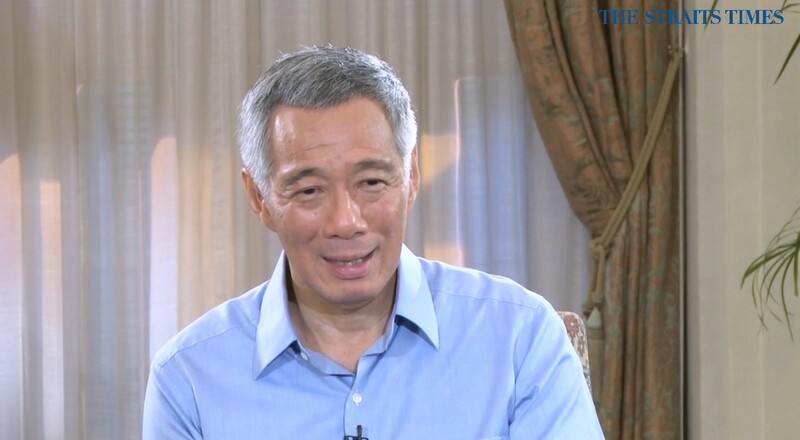 PM Lee described the election result as a watershed. With him are (from left) Education Minister Ng Eng Hen and DPMs Wong Kan Seng and Teo Chee Hean. 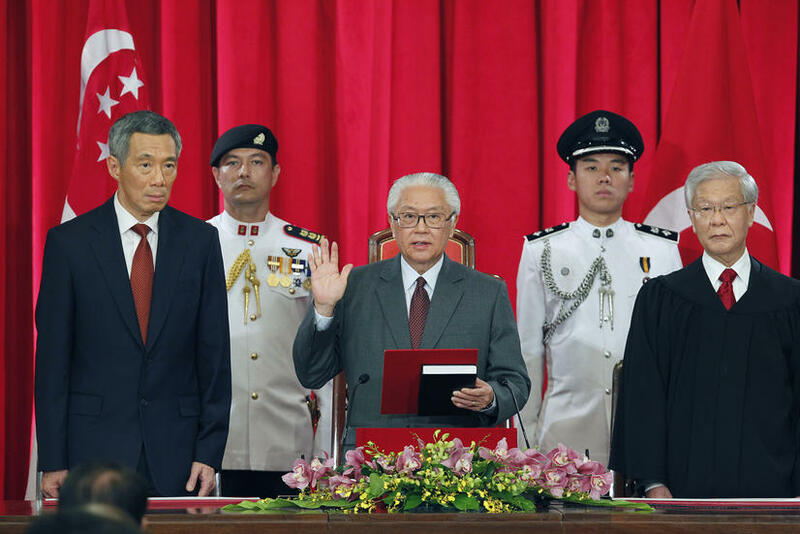 PM Lee at the swearing in of President Tony Tan as Singapore's seventh President. 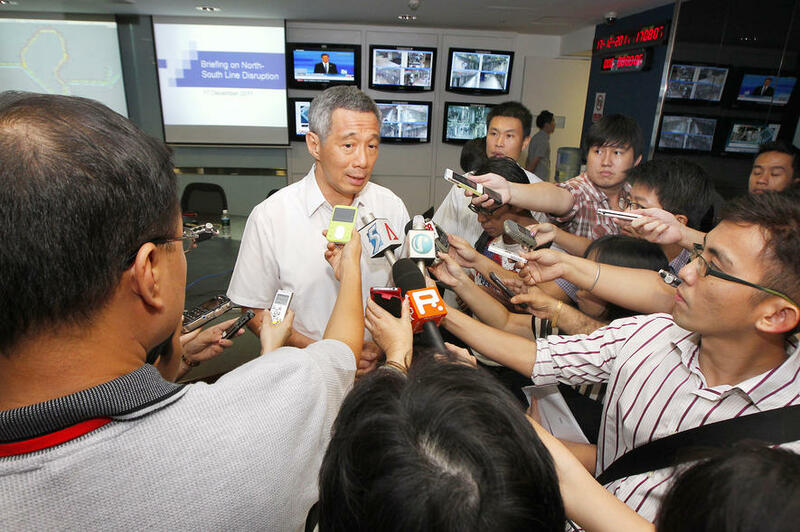 PM Lee (centre, in white) speaking to the media after the spate of SMRT breakdowns, after the North-South Line broke down again for seven hours on December 17 2011, affecting 94,000 commuters. 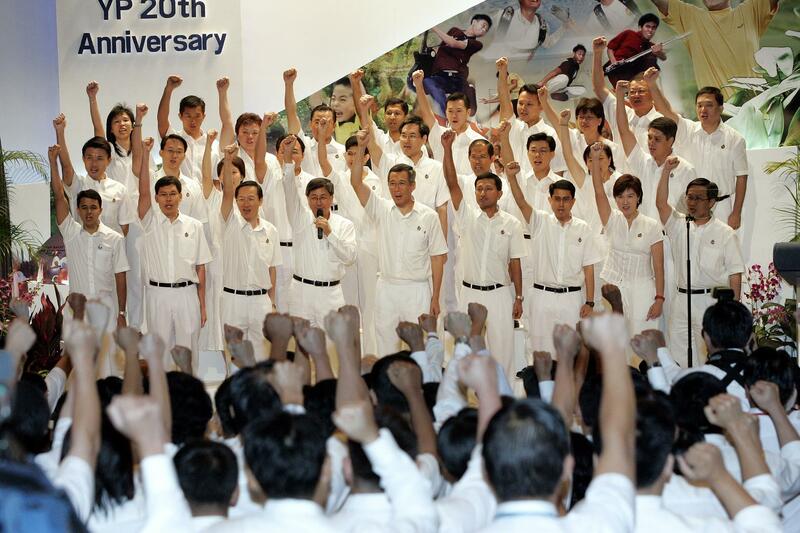 PM Lee during a rally before the Punggol-East by-election. 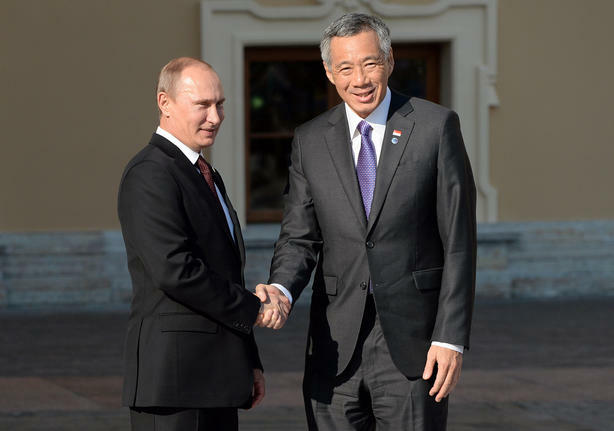 PM Lee meeting with Russian President Vladimir Putin before the G20 summit on Sept 5-6 in St. Petersburg, Russia. 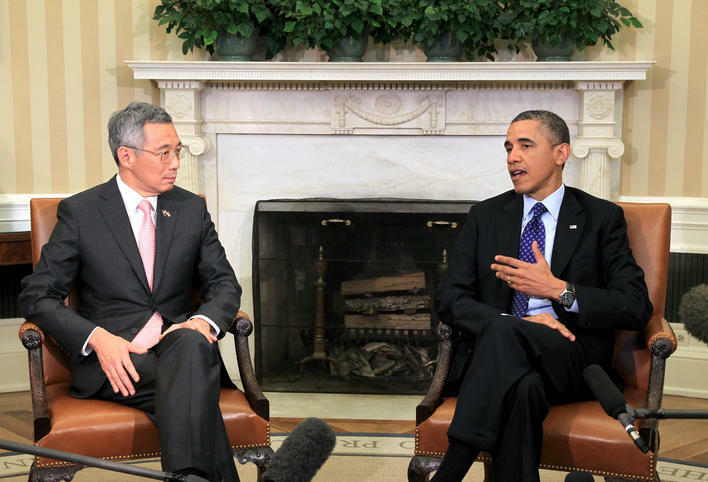 PM Lee speaking with American President Barack Obama during a meeting in the Oval Office at the White House in Washington D.C. on April 2 2013. 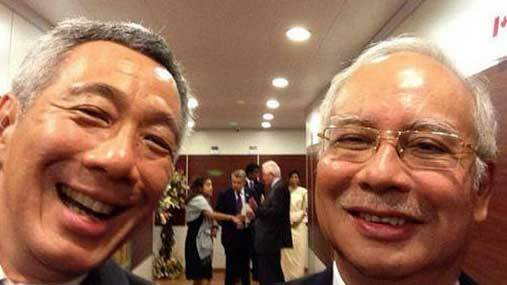 PM Lee took this "selfie" of himself with his Malaysian counterpart Datuk Seri Najib Tun Razak before the start of the Commonwealth Heads of Government Meeting (CHOGM) in Colombo, Sri Lanka on November 15 2013. 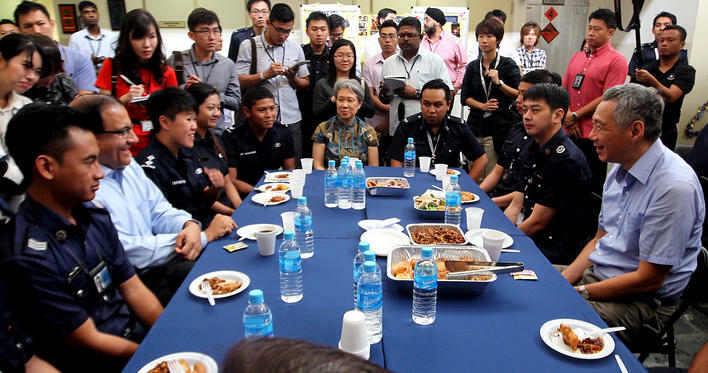 PM Lee meeting with Home Team officers who were involved in dealing with the Little India riot on December 8 2013, over breakfast at the Rochor Neighbourhood Police Centre on December 24 2013. 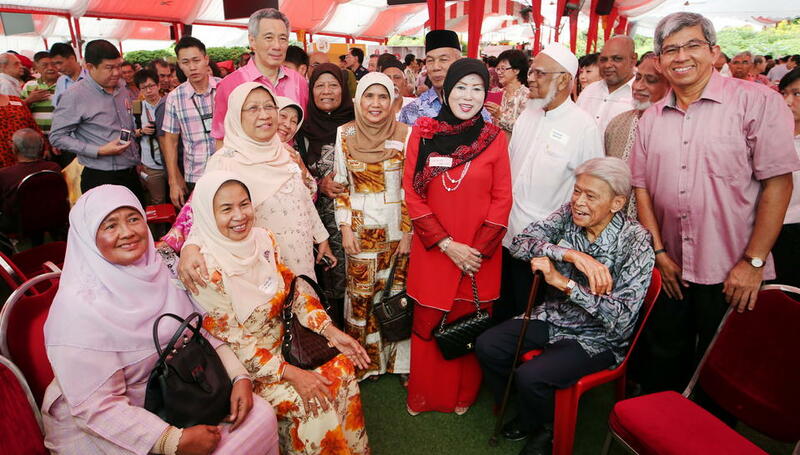 PM Lee with guests who represented Singapore's pioneer generation at a tribute party held at the Istana on February 9 2014. 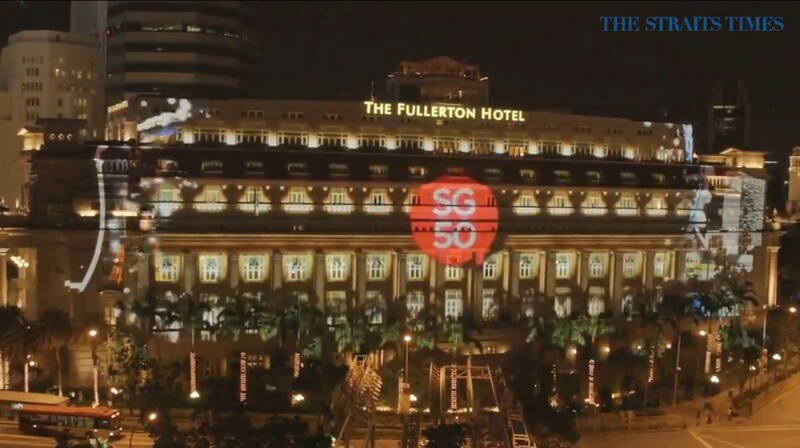 During the event, PM Lee thanked the pioneers for their hard work and contributions to Singapore over the years and also unveiled the Pioneer Generation Package.